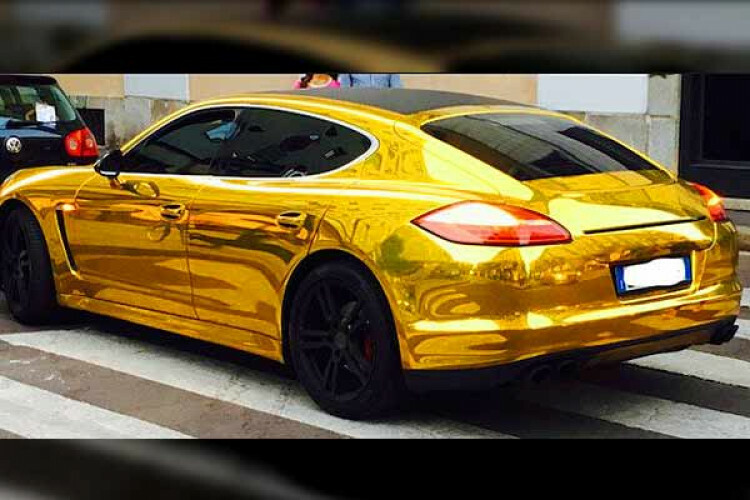 A blinged-out and extra shiny golden Porsche belonged to a 31-year-old driver in Germany has been taken off the roads by the police as it can blind other drivers. Earlier also police asked him to remove the foil and get his car re-registered, but he continued to drive it. Last week when he was seen on roads distracting other drivers, the police stopped him and took his keys, papers, and license plate.